India’s model bilateral investment treaty: Are we too risk averse? India’s decision to adopt a new Model Bilateral Investment Treaty (BIT) especially in light of the growing debate on how to reconcile investment protection with host state’s right to regulate should be welcomed. After foreign investors sued India under different BITs, India realised that broad and vague investment protection standards can be interpreted in manners that give precedence to investment protection over the host state’s right to regulate. The fact that India has adopted a new Model BIT that continues to give the right to foreign investors to challenge India’s regulatory measures under BIT shows India’s continuous engagement with the investor-state dispute settlement (ISDS) system unlike countries like South Africa and other Latin American countries. However, India has significantly altered the terms of this engagement. “The failure to solve the riddle of ISI and to stop its covert interference in Afghanistan became, ultimately, the greatest strategic failure of the American war.” – Steve Coll, Directorate S At the end of June, the U.S. Senate confirmed the nomination of the ninth American commander in Afghanistan and the 17th commander of that war overall. The U.S.-led coalition has been fighting there for 16 years and ten months. Senior commanders and political leaders have acknowledged the war is a stalemate. Years of Department of Defense reporting and senior leader hearings testify to the difficulties with the war and the reasons for the stalemate. Many open source articles and books explain why, what at first looked like, a successful war, with the Taliban taking flight, then saw the regeneration of the Taliban and the onset of a protracted war of attrition with increasingly grisly bombings and violence year after year. 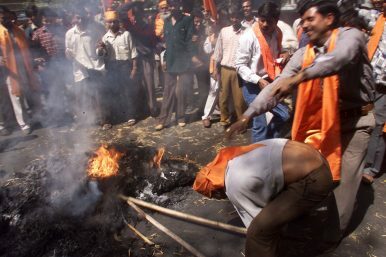 Civilians have been victims of much of the violence. A strategic stalemate after almost 17 years of war is disconcerting. 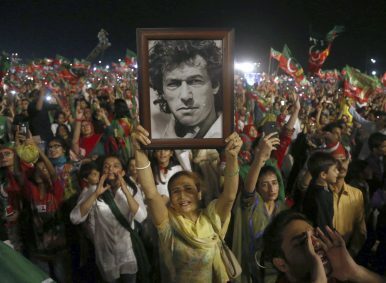 Much has been predicted about Imran Khan, the incumbent prime minister of Pakistan, and his promised “Naya (New) Pakistan” in the days leading up to and since the July 25 election. Some say he has naively promised the impossible; others say that the passage of time will verify his caliber. One daunting question about his upcoming tenure – in part propelled by personal-life decisions and his public comment about the negative role feminism has played in Pakistan – is how women will fare under the Khan-led Pakistan Tehreek-e-Insaf (PTI) government. On August 3, the foreign ministers of the 10 member states of the Association of Southeast Asian Nations (ASEAN) and their Chinese counterpart announced agreement on a Single Draft South China Sea Code of Conduct Negotiating Text (SDNT) that will serve as the basis for the adoption of a Code of Conduct in the South China Sea. The SDNT is 19 A4-sized pages long. It is structured according to the previously adopted Framework Agreement on the Code of Conduct into three main sections – preambular provisions, general provisions, and final clauses. The SDNT is color-coded black for text taken from the COC Framework, blue for the consolidated text, and green to identify the input by the 11 parties. 91 Years Old Today: How Tough Is China's Military? The People’s Liberation Army turned 91 today amid the Chinese media’s self-congratulatory cacophony . To be sure, China has a lot to be proud of—the PLA has become one of the most powerful militaries in the world. But lost in the hyperbole and hubris of the occasion is a sense of perspective. The PLA continues to be plagued by enduring weaknesses and significant challenges on the long journey towards its aspirations. What are those aspirations? At the 19th Communist Party Congress in October 2017, Xi Jinping committed China to an ambitious agenda. The PLA is to be transformed into a ‘world-class force’ by mid-century, with mechanization to be completed by 2020 and modernization to be completed by 2035. Five months ago, when the Communist Party of China freed President Xi Jinping from term limits, the conventional wisdom was that his dominance within the Chinese party-state was so strong that his authority could not possibly come under attack. How things have changed. CLAREMONT, CALIFORNIA – Politics has a nasty habit of surprising us – especially in a country like China, where there is little transparency and a lot of intrigue. Five months ago, President Xi Jinping jolted his countrymen by abolishing the presidential term limit and signaling his intention to serve for life. But the real surprise was to come later. The vast annual military operation known as the Rim of the Pacific Exercise (simply RIMPAC in Pentagon jargon) just concluded on the beaches of Southern California with a huge demonstration of an amphibious assault, which involves sending troops ashore from warships at sea — a highly complex maneuver whether D-Day or present day. The exercise is held every two years all over the Pacific Basin, and is the largest international maritime exercise in the world. It is globally regarded by naval officers as the Olympic Games of naval power. Run by the U.S. Pacific Fleet, which is headquartered in Pearl Harbor, it normally includes warships and troops from every branch of the U.S. armed forces, and those of than 20 foreign nations. The National Interest asked 13 scholars and experts to respond to the following question: Given growing tensions between the United States and China, where do you see the overall relationship headed? Towards a permanent state of competition? The National Interest asked 13 scholars and experts to respond to the following question: Given growing tensions between the United States and China, where do you see the overall relationship headed? Towards a permanent state of competition? Potential conflict? Or an eventual restoration of a more friendly and cooperative relationship? From the diverse array of experts we assembled, we received responses from across the spectrum. Some think military conflict is inevitable. Some think there is no reason the two sides should not be able to keep peace. Some see China as a status quo power. Others see China as a revolutionary challenger. And with its back against the wall, will Asia’s biggest, most influential economy use a sharp currency devaluation as a form of retaliation? In Southeast Asia, home to some of the world’s most China-dependent economies, astute market watchers say they are as clueless as the man on the street when it comes to these two questions. But one thing is certain, they say: in the financial markets, bearish “animal spirits” have taken hold – many fear the worst if the US president follows through with plans announced this week to raise tariffs on US$200 billion of Chinese products from 10 per cent to 25 per cent in September. 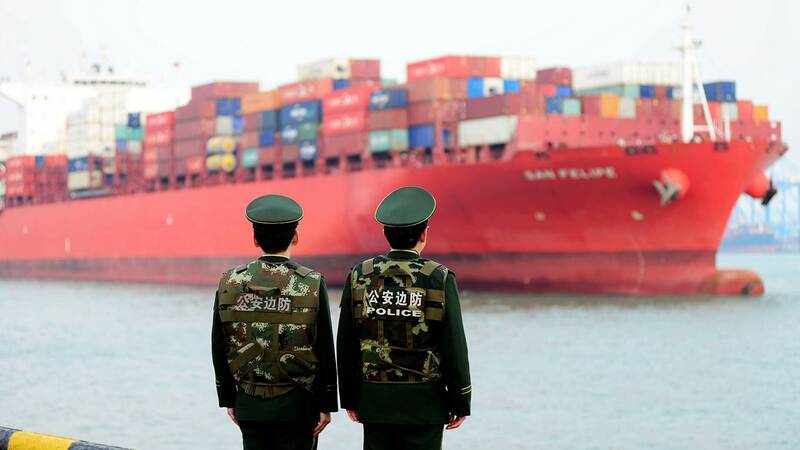 China late on Friday reacted with tariffs on some US$60 billion of goods. Chinese industries are not only getting closer to the technological frontier in conventional areas such as electronics, machinery, automobiles, high-speed railways and aviation, but also driving technological innovations in emerging areas such as new and renewable energy, advanced nuclear energy, next generation telecommunication technologies, big data and supercomputers, A.I., robotics, space technology, and e-commerce. Statistical data — such as the volume of exports and amount of sales and investment in these Chinese industries — provide evidence to the rise in technological capability. Stay calm and don’t panic. Sound advice. But it appears no one is listening to Yi Gang, the People’s Bank of China governor. As fears grow of a trade war between Beijing and Washington, the world’s second-largest economy is suffering a severe attack of ‘jitteritis.’ Last week, Yi called for investors to “remain calm” after the benchmark Shanghai Composite Index dropped 3.78%, dipping below the psychological 3,000-point barrier, while the Shenzhen Component Index plunged 5.31%. Since then, Shanghai has entered bear-market territory, plummeting more than 20% from January highs. On Wednesday, it fell another 1.1% as trade tensions between China and the United States increased, and the renminbi, or yuan, weakened. In the minds of many Americans, espionage is conducted by men in trench coats sliding envelopes full of top secret blueprints to each other on park benches. While that image isn’t always terribly far off, the modern world of information-gathering is exponentially more complex. A recent U.S. government report, from a relatively low-profile agency of spy-catchers called the National Counterintelligence and Security Center, described how the Chinese government, in particular, is taking a “multipronged” approach to “acquire U.S. technology to include sensitive trade secrets and proprietary information.” Old school espionage is just one strand in a growing web that includes cyber heists and corporate machinations. Thanks to modern communications, an old phenomena might be getting a more serious, modern twist in Asian conflicts. Extremists of various stripes have long lumped together disparate groups of people with only weak ties in order to suggest a global alliance against the extremists’ own favored in-group. A typical example in the contemporary West would be the far right’s demonization of Muslims, under which narrators try to present a coherent worldview that ties the foreign policy of the Islamic Republic of Mauritania (in West Africa) into the activities of the Indonesian government. Suggesting that one’s local adversaries are more powerful than they really are, and that weaker foes are actually part of a malignant global bloc aligned against the extremist’s own in-group, is a time-honored propaganda tactic. With the spread of cheap smartphones and other near-instantaneous means of communication however, there are now signs that hardliners in various local conflicts are taking the propaganda of “enemy” groups from elsewhere, and using it to justify their own atrocities at home. The world seems to be in a state of permanent crisis. The liberal international order is besieged from within and without. Democracy is in decline. A lackluster economic recovery has failed to significantly raise incomes for most people in the West. A rising China is threatening U.S. dominance, and resurgent international tensions are increasing the risk of a catastrophic war. Yet there is one threat that is as likely as any of these to define this century: climate change. The disruption to the earth’s climate will ultimately command more attention and resources and have a greater influence on the global economy and international relations than other forces visible in the world today. Climate change will cease to be a faraway threat and become one whose effects require immediate action. Is Japan Becoming a Country of Immigration? As the only advanced industrial democracy that has closed its borders to unskilled migrant labor since the end of World War II, Japan has long been viewed as hostile to immigration. Although the number of foreign nationals in Japan has grown at a rapid pace in recent years—from 850,000 in 1985 to almost 2.6 million in 2017—foreign residents still make up less than two percent of the total population, compared with between eight and 25 percent in western European countries. And only one-fifth of Japan’s foreign workers hold visas explicitly intended for labor immigration, which is restricted to the highly skilled. Japan’s aging population, however, is creating a demand for foreign labor. Japan’s population peaked at 127.8 million in 2004 and has fallen by over 1.5 million since then, and its working-age population has dropped by over ten million since 1997. Nationwide, the ratio of job openings to applicants now stands at around 1.6, the highest it has been since the height of the so-called economic miracle over four decades ago. Workers in construction and mining, caretaking, food service, hospitality, and retail are in particularly short supply. In July 2018, the Japan Chamber of Commerce and Industry, which represents the country’s small- and medium-sized businesses, reported that around 65 percent of members had difficulty meeting labor requirements despite wage increases. WASHINGTON (AP) — President Donald Trump wants a Space Force, a new military service he says is needed to ensure American dominance in space. But the idea is gaining little traction at the Pentagon, where the president’s defense chief, Jim Mattis, says it would add burdensome bureaucracy and unwanted costs. The Pentagon acknowledges a need to revamp its much-criticized approach to defending U.S. economic and security interests in space, and it is moving in that direction. But it’s unclear whether this will satisfy Trump, who wants to go even further by creating a separate military space service. The administration intends to announce next week the results of a Pentagon study that is expected to call for creating a new military command — U.S. Space Command — to consolidate space warfighting forces and making other organizational changes short of establishing a separate service, which only Congress can do. Any legislative proposal to create a separate service would likely not be put on the table until next year. 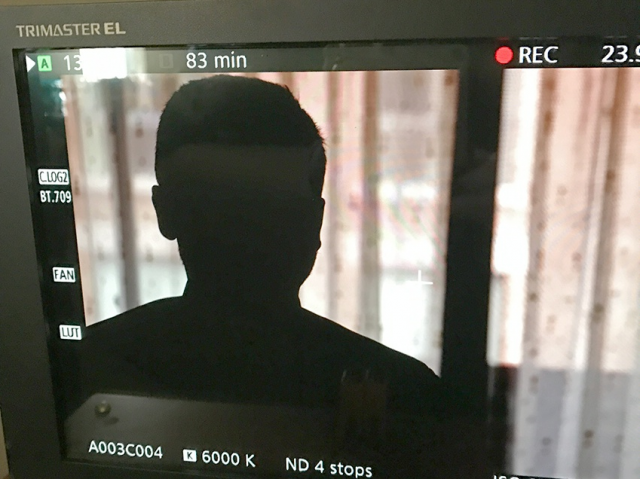 An Amnesty International employee has been targeted with Israeli-made surveillance software, the human rights group said Wednesday, adding to a growing number of examples of Israeli technology being used to spy on human rights workers and opposition figures in the Middle East and beyond. In a 20-page report, Amnesty outlined how it thinks a hacker tried to break into an unidentified staff member’s smartphone in early June by baiting the employee with a WhatsApp message about a protest in front of the Saudi Embassy in Washington. Like many other Israeli startups in the security field, NSO was founded in 2010 by three veterans of the army’s premier signals intelligence unit, 8200: Niv Carmi, Omri Lavie and Shalev Hulio. They started work on Pegasus, which remains NSO’s only product, immediately after founding the company. How deep is the decline of the West? Russia has always been a military powerhouse, and remains a top cyber, electronic warfare, nuclear, and conventional threat, but it's no longer the top one. US defense documents now list China as the US's main threat, and with good reason. China has produced truly innovative weapons systems and has the capacity and economy to mass produce them. 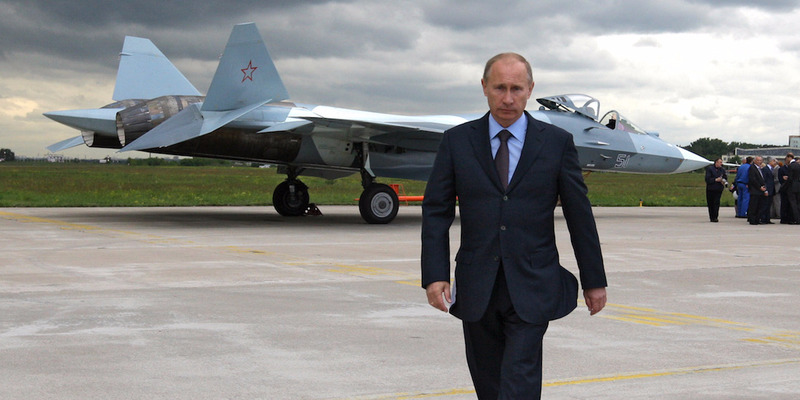 Russia has thought up some powerful concepts but failed to execute them as its economy is weak. Russia, and the Soviet Union before it, always possessed an outsized military and grew quickly into the role of the US's chief rival after World War II, but despite prioritizing nuclear and military power above social welfare for decades, the Kremlin has been surpassed. Russia still wields enviable cyber warfare prowess, tremendous conventional military strength, the world's most dangerous nuclear weapons, and electronic warfare capabilities among the best on earth. But nobody is talking about Russia as the US's top military threat anymore. Today, it's China. Congress and the public have appropriately been outraged about the influence in our last election, and it is an ongoing concern. But it seems far less focus has been applied to keeping the power grid intact. In March, I noted that Russia is already warmed up for an attack on our energy grid. As I said then, Putin is more than a cyber bully. He’s righting perceived wrongs done to him and to the former Soviet Union by the great enemy. This is about a modern version of the U.S.S.R., and cyber warfare is the least risky way to accomplish it. 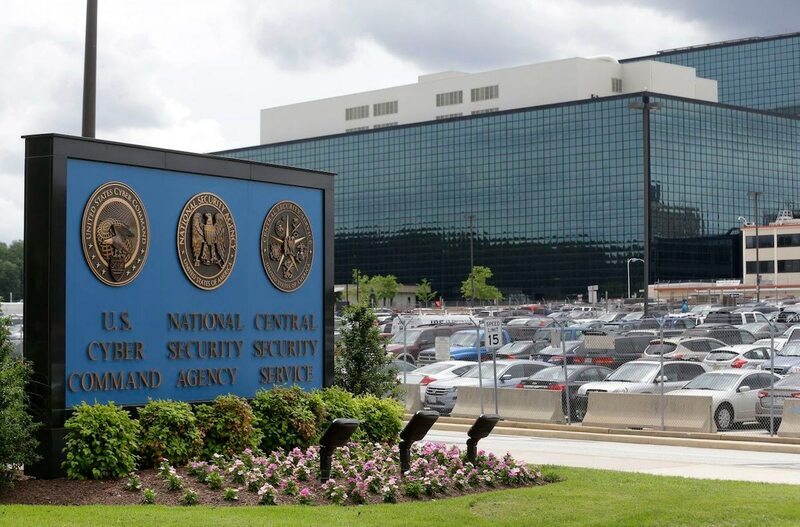 One of the most hotly contested debates surrounding the maturation of U.S. Cyber Command is its eventual split from the National Security Agency. Top officials have long maintained the so-called dual-hat relationship, where one leader oversees both organization, was temporary. But Cyber Command’s new leader, Gen. Paul Nakasone, has said he will re-examine the issue in an assessment to the Secretary of Defense and chairman of the Joint Chiefs of Staff within his first 90 days in charge. That 90 day mark falls on Aug. 2. A Cyber Command spokesman confirmed Nakasone is working on the report. Nakasone, who now also leads NSA, said during his confirmation hearings he did not have a strong feeling about the split. The debate over the effects of artificial intelligence has been dominated by two themes. One is the fear of a singularity, an event in which an AI exceeds human intelligence and escapes human control, with possibly disastrous consequences. The other is the worry that a new industrial revolution will allow machines to disrupt and replace humans in every—or almost every—area of society, from transport to the military to healthcare. There is also a third way in which AI promises to reshape the world. By allowing governments to monitor, understand, and control their citizens far more closely than ever before, AI will offer authoritarian countries a plausible alternative to liberal democracy, the first since the end of the Cold War. That will spark renewed international competition between social systems. WASHINGTON (Reuters) - Creators of fake accounts and news pages on Facebook (FB.O) are learning from their past mistakes and making themselves harder to track and identify, posing new challenges in preventing the platform from being used for political misinformation, cyber security experts say. This was apparent as Facebook tried to determine who created pages it said were aimed at sowing dissension among U.S. voters ahead of congressional elections in November. The company said on Tuesday it had removed 32 fake pages and accounts from Facebook and Instagram involved in what it called “coordinated inauthentic behavior.” While the United States improves its efforts to monitor and root out such intrusions, the intruders keep getting better at it, said cyber security experts interviewed over the past two days. Joseph V. Micallef is a best-selling military history and world affairs author, and keynote speaker. Follow him on Twitter @JosephVMicallef. The term New Generation Warfare (NGW) first began to appear in Russian military literature in 2013. It was a response to the call to "rethink the forms and methods of warfare" by the chief of the General Staff, Gen. Valery Gerasimov. According to Gerasimov, the conduct of military operations in the 21st century has changed because there is now a "blurring of the lines between war and peace," while at the same time "non-military means of achieving military and strategic goals have grown." Facebook has reset the growth meter for itself and other social media companies, which are facing changing user tastes and increased regulatory scrutiny in a world following the Cambridge Analytica scandal and Russian meddling in U.S. presidential elections. In its 2018 second-quarter earnings call on July 25, Facebook warned of decelerating revenue growth “over the next several years,” and of uninspiring trends in its user patronage in the U.S. (flat at 185 million daily active users) and in Europe (down 3 million to 279 million daily users), where strict data privacy rules took effect in May. Facebook lost nearly $120 billion in market capitalization the day it announced its results, bringing down other tech stocks such as Amazon, Twitter and Netflix (although they have since recovered somewhat). Each month we learn more and more about the extent of Russia’s interference in the 2016 US elections. Fraudulent social media accounts accused of propping up non-existent political commentators, armies of Twitter bots designed to cluster around and drive defined political and social issues, carefully crafted ‘dark posts’ that only some could see, and political rallies coordinated by social media event pages, all are now standard media fodder. This sophisticated covert campaign used disinformation to sow confusion and magnify noise and disagreement. It prodded and promoted a lack of confidence in American leaders and institutions. It did so by taking advantage of the openness of American society—and by leveraging cyberspace in new and creative ways that outpaced and outfoxed government thinking. Given the lack of response from the US government during (and immediately following) the elections, and the seeming lack of awareness in media that events were being manipulated, it’s fair to say few understood the magnitude of what was tearing down the pipeline. 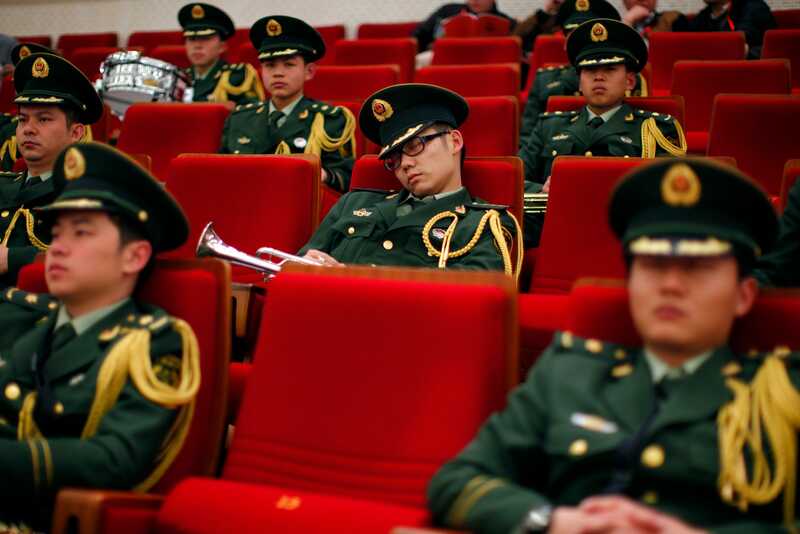 Chinese President Xi Jinping ordered the Chinese military to clean up its act and to get out of the side businesses officers have been running for years, including running kindergartens and real estate projects. The directive is part of an effort to end military corruption that began three years ago. Xi is determined to build China's military into a world-class fighting force by the middle of this century, but many problems remain. Chinese President Xi Jinping has ordered the military to put an end to paid service activities once and for all and focus on combat readiness as the commander-in-chief attempts to build a world-class fighting force by mid-century. CAPITOL HILL: The Army has a new, two-pronged strategy for Signals Intelligence, its top intelligence official said at a recent forum here. First, SIGINT forces must continue their post-9/11 evolution from a secretive, insular priesthood to a hands-on helper for frontline troops. At the same time, SIGINT must scale up the “precision” techniques developed to track insurgents‘ and terrorists‘ transmissions so it can tackle much bigger and more sophisticated adversaries like Russia and China. Instead of pinpointing terrorist leaders for drone strikes or commando raids, SIGINT may be finding electronic weak points in enemy networks that US cyber and electronic warfare teams can then hack or jam. ASSOCIATION OF THE US ARMY, ARLINGTON: War zones, it turns out, get crappy reception. But the Army, NASA, and multiple private companies are looking to optical communications — that means lasers — off affordable micro-satellites that could dramatically increase bandwidth. Just this morning, the federally funded Aerospace Corporation announced a successful test for NASA that provided bandwidth 50 times higher — an almost 5,000 percent increase — than current military satellites that use radio waves.